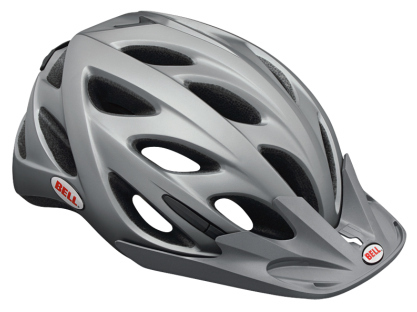 The helmet is Bell's latest incarnation of the urban/commuting helmet. It's available in four colours (matt black, matt titanium, white and yellow) and one size fits all (54-61cm). I received the helmet in matt titanium along with a set of Blackburn Flea 2.0 bike lights. The Muni retails at £59.99 and when you first get your hands on it you can tell it's a quality item. The helmet features built-in battery powered flashing rear lights and visor with mounting point for the Flea lights. Unlike my current Giro helmet and many others on the market, there's no dial adjustment to change the fitment on the helmet. Instead it has a three point size adjustment, which you have to set whilst off your head, and a combination of an elasticated band at the back and multi-position chin strap. At first I couldn't see how this was as good, let alone better than the dial type adjustment. After playing with the sizing though I found it to be at least as good and the multi-position chin strap buckle is a nice touch. So after getting the helmet to fit comfortably, one of many people's first requirements is 'does is look good?'. For me this isn't all that important. However, choosing the right colour is. I tend to go for dark colours and the Muni fits the bill but to be honest, I wouodn't have minded trying the flourescent yellow version! A must if you want to be seen in demanding urban environments. The helmet features mesh covered front vents to stop insects and flies etc from buzzing about inside your helmet. This is particularly useful in spring and summer as I'm sure I'm not the only one that gets annoyed by them. The helmet is comfortable, light and well vented, even for long rides on warm days. However, it comes into a league of its own when paired with the Flea lights. The lights are a perfect match for the Muni and given their minute size, you'd be convinced they wouldn't be up to much but you'd be wrong. The lights are incredibly bright and the front one can even run at a higher intensity (great for short stints along unlit streets). The lights can either flash or stay on permanently but obviously the batteries last longer if flashing. Either way this is no problem as the Flea lights come with a USB charger (perfect for charging during the day at work) that is small enough to carry on your keyring. The lights are small and light enough to leave on the helmet at all times. Great for emergencies, saves you having to take them off your bike every time you leave it and even comes in handy to help you see when fixing a puncture at night. You also have a traffic light system on the light that lets you know how much battery life is left. 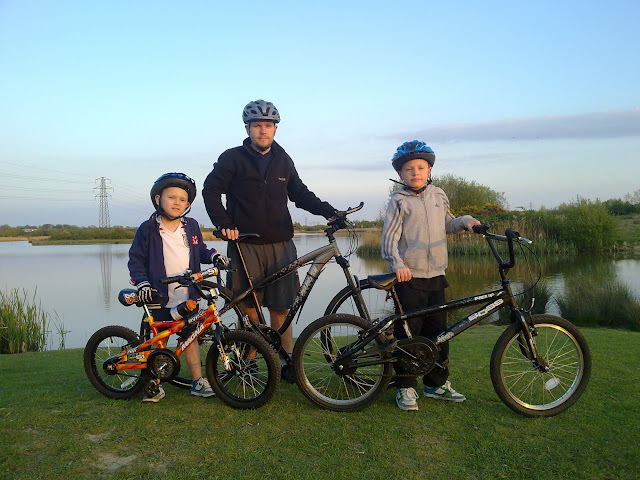 The helmet is very good but as helmets go is no better or worse than most of the big brands on the market. The built-in lights are a nice touch but not bright enough to inspire confidence. Where the Muni comes into its own though is when you fit the Flea lights. It totally transforms the helmet into a go anywhere solution that is convenient to all riders. You don't have to remember to fit them to your bike or take them off when you lock it up. The lights are bright yet ultra compact so inspire confidence in not just being see but being able to see. If you're interested in the combo I suggest you shop around as I managed to find them both for £71.98 which is a good saving over the combined RRP of £104.98.